That’s really a great news. Well, to start with, I am sure you must have started planning for your wedding now. The most imperative is your photography and there are several things to look after to finally book your wedding photographer. Gone are those days when wedding photography was a simple technique to click bride and groom along with family and friends, but now photography has been taken to the next level with newness in it, there is a lot a wedding photographer can do to make your wedding a perfect memoir to cherish forever. 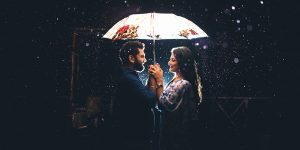 Pre-wedding photography has become an integral part of wedding shoot these days and mostly wedding photographers offers pre-wedding shoot too in their packages along with other deals, if you’re looking for a pre-wedding shoot, here are various aspects to look into…. Read on! BUT FIRST, WHAT IS A PRE-WEDDING PHOTOSHOOT? Well, pre-wedding shoot is absolutely one’s choice, it is not something mandatory but yes, there are several benefits of pre-wedding photo shoots. What you ask…. Here we go!! If yours is an arrange marriage then surely a pre-wedding shoot can help you and your spouse to be to come a little close. It will help you to know each other in a better way, all the times which you guys will spend together for your pre-wedding shoot you will get to know each other more and better, which will help you to start a splendid life ahead. Years later when you will look back all those images of yours, you will miss all those golden moments of your life. And if it is going to be a love story than nothing can be better than a pre-wedding photo shoot which will just enable your photographer to craft a wonderful love story in the most artistic way i.e., in form of your pictures. Pre-wedding shoot is a good time to relax and unwind with your significant other, and helps you tell your love story to the world in most amazing way. HOW TO CHOOSE THE BEST DESTINATION FOR PRE_WEDDING SHOOT? Yes, only choosing a package which includes pre-wedding photo shoot, is not just enough. There is a lot to do to get those candid moments captured to have a perfect memoir. Wedding is always a combination of love, joy and happiness. Pre-wedding shoot is one of the ways to build that bond between you and your spouse to be. To make your pre-wedding photo shoot a memorable one, numerous factors are to be taken care and the first is to choose the location for the perfect pre-wedding photo shoot. One of the most important aspects lies in selecting that perfect location which suits your personalities effortlessly. Before choosing a location you have to choose the wedding photographer to undertake all your wedding shoots. Make sure that you choose the best and professional wedding photographer for your wedding, who undertakes and has experience in pre-wedding photography assignments too. Who understand your needs and with whom you can also be comfortable for your photo shoot. The one who can showcase your personalities vividly. The most indispensable thing in a pre-wedding photo shoot is your location, it is not the only thing but yes plays an important role in getting good candid shots, as your location works as a backdrop for your images. First things first, when choosing a location, the first thing to consider is your story – How it all started like: How you met, where you met for the first time, your first date location, your first holiday destination, your first movie together, who proposed first, and where exactly the proposal was made. Yes, if your story is an entrancing one you would definitely love to consider those places for your pre-wedding shoot or video just to give it a flavor. Yes, your personality matters a lot, you two can’t be of same nature, behaviors, and character traits. You might love something which your spouse to be definitely not. Whether you guys are a outgoing person or the one who loves to stay indoor mostly. Your personalities plays very important role in any pre-wedding photo shoot. Because if the shoot is in accordance with your personalities than definitely the outcome will be best. While considering locations for your pre-wedding shoot don’t just ignore the traits you guys possess, it will give you that ease and comfort which will be easily reflect in your pictures, going against your personalities may leave you disappointed, which is not good, for sure. 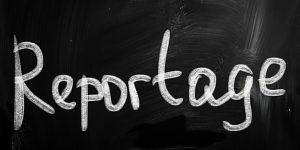 While choosing the location mind you, that your theme should be in sync with your chosen location and if it is not so, then definitely it will impact the pictures at the end. Your chosen theme will help your photographer to understand the requirements of lenses and other equipment and (if required) props and all which will be needed to blend with the nature and grandiose of the ambient. While choosing your location for the pre-wedding shoot, weather and season of the wedding can’t be over looked. Weather will very much impact your photographs. Chances are that the season you are getting married doesn’t suit the location which you have opted for your pre-wedding shoot. It is always good to consider the time and season of your wedding before choosing the pre-wedding photo shoot venue. Like if you’re getting wed-locked in rainy season, would you show-up for your photo shoot outside… I am sure you know the consequences all your make-up will be gone and the dress you bought specially for your photo shoot will be drenched completely. Think over it!! Wedding is itself a pricey affair, very, very pricey in fact. So, before choosing a location for your pre-wedding photo shoot, money part can’t be ignored, as money plays important role. 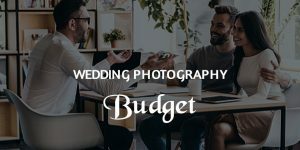 The more you spend the more expensive your pre-wedding photo shoot can go but if you are tight in budget than you should consider this before choosing a pre-wedding location. You may want to go outstation for your pre-wedding shoot but then your budget doesn’t allow you to, in outdoor photo shoot you will have to take care of you and your spouse to be and the photographer and his team’s travel and accommodation, which is not feasible if you are tight in your budget, in such situation the best you can do is to look for some location in the town itself because most of the public location are free, it doesn’t cost you much whereas any private arrangement or are will cost you high like this you may end up going out of your budget….. Choose wisely in your budget, and make your pre-wedding photo shoot best one for your life time. Clarity on budget is obligatory. Whether the season of your pre-wedding photo shoot is off or the peak one it also matters very much. If it’s an off season than you have the prerogative to get good places to photo shoot but if it is a peak season when there are school holidays and already people are traveling for sum leisure time and the location which you have finalized is replete with people and travelers than you and your photographer will have difficult time to get good pictures because on and off there will be some disruption. So, while choosing your pre-wedding photo shoot make sure the location will not be swamped with lots of people. Like in May and June, you may find it difficult to get those candid pictures on beach, you will hardly get any place to get the job done. 7. WHAT TIME IS YOUR PHOTO SHOOT? Whether you want to shoot a sun rise or the sun set as your backdrop, consider this before choosing the location. Also, if it is some historical monument you want to have your pre-wedding photo shoot to take place in than you can’t go there at night as it is not allowed in most of the places. For having finest pre-wedding photographs in your hand to see time before finalizing your location is equally important. Your mood and style matters a lot before finally choosing any location for your pre-wedding photo shoot as when your mood and style will have a perfect blend with the chosen location, the perfect pictures will come. 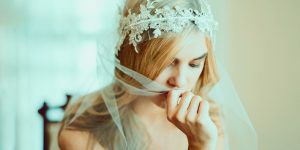 Whether you are a bubbly girl and your spouse to be a shy groom, whether you are a couple who love traditional artistry or you are the one who is modern by all means. You may like to have some traditional wall as your backdrop, your mood and your style of looking at life also plays an important role in choosing the best location for your pre-wedding shoot. Your photographer will be able to blend both is a nicest manner. Make sure whatever you are looking for whether a mix and match type of style, or a traditional one, everything your photographer should know beforehand so that he can use his skills in best of his ways to get you your amazing photographs. To have good pre-wedding photo shoot it is advisable to visit your location beforehand. You might have dreamt of having shoot in some historical monument when you last visited it ten years back when you were in college. How sure you can be now that the monument is still in the same condition, it may be in tainted condition now because the gap is huge. Or maybe there is a park in your city which was famous once, why not to see it by yourself and check whether it is the place to go for your pre-wedding shoot or not. So, paying a visit is good in all those selected locations, it may cost you some time beforehand but will save a lot afterwards. You will have a clear idea about the place inside out. 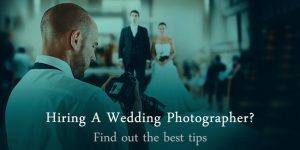 If you are unable to finalize any good location for your pre-wedding photo shoot you can always ask your photographer for his advice, he can be a best source in such situation. Mostly photographers must have nice idea about locations and places, in and out of the town. For photographers being in this profession becomes mandatory to possess knowledge about locations and places. You can also ask your photographer to tell you few locations. All you need to do is tell your taste, preferences and styles so it will be easy for him to recommend few places. Also, they have very good insight of most of the places and they can help you exactly where and how you can best pictures. Ours is a country replete with myriads of incredibly beautiful landscapes and locations. For couples who are fond of nature and landscapes it is always easy to go for any of hill station for their pre-wedding shoot as it make it easy for them to decide, no much brainstorming needed, no much efforts required. All you need to see is what weather or terrain works for you – beach or mountains, autumn or snow. Cease your love in the beachy Goa or let your love profoundly grow in the lap of nature amidst snow-capped mountains of Manali. Try a photo shoot amidst deserts of Rajasthan or in the backwaters of Kerala. De facto, these are your only days as bachelor, you can have enjoy them to the fullest, because these days will not come again now. Treat this pre-wedding shoot as your mini-vacation. For fort lovers there are umpteen forts and palaces all across the country. If you have always envisioned your story to be a royal one than nothing can be better than going for a fort or a palace to go ahead with. Rajasthan is full of numerous such options, you name it. You will have mesmerizing picture of your pre-wedding shoot in forts and palaces. All you have to take care is the timing of shooting and the tickets to enter there. And then your photographer will have plenty of backdrops to capture with you two. You will enjoy the whole experience all together. Then there are heritage buildings, our country is swamped with such buildings and undoubtedly if you are the one who like to time travel than choose a heritage site for capturing moments in time as it will be the best idea to go ahead with. Heritage site works really well as your backdrop and give an instant “sense-of-place” to your photographs that they look grandiose automatically. Our country is just full of numerous fantastic locations. 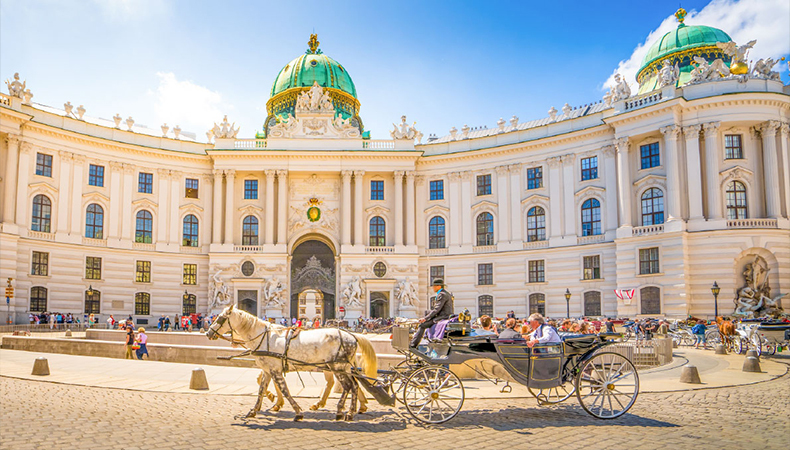 These buildings give a sense of royalty, take you in the history, and can give you a solid dose of nostalgia. The city of Taj, Agra is one such example, the city is renowned for its heritage buildings, Tajmahal itself is an icon of love Why not immortalize your love in a place which has witnessed a great grand love story in the history which is already an epitome of love and people across world come to have a sight of the place. Try it out. Another option to choose from is hotels and resorts. Umpteen options available in the country and that too in most beautiful locations. These hotels and resorts have designed packages especially for pre-wedding shoots. For you if you prefer to photo shoot indoor, than going with hotels and resorts will add to your pictures that tinge. These luxury resorts are by large have amazing architecture + landscaping and your photographer will have too much to create magic! You will love the idea all in all! If you want to go local, then try something off-beat. Or if you have constraint going out station for your pre-wedding shoot than parks and streets will be a great idea for your pre-wedding photography and even your photographer will have lot to scour in your locality streets and parks. If yours is an adventurous style then surely going local will help you to get best pictures. Your photographer will be able to capture those candid moments having parks your backdrop. It’s a perfect idea to spend time with your spouse to be while taking a walk in your favorite part of the city amidst crowd. Good to go out of your comfort zone and get the candid moments of your life captured magnificently. THE PREPARATION – FOR YOUR PRE-WEDDING PHOTO SHOOT GO SHOPPING. Finding a right photographer and the best location for the pre-wedding shoot is a tough task in itself and you have successfully accomplished it! Now that you have finalized the best location for your pre-wedding shoot, how can you forget the preparation for the day Most often pre-wedding shoots doesn’t come out to leave a great impact is because they ignore or may miss to spend on shopping for the shoot. Sometimes they want to make it happen with their old dresses which they just bought for their cousin’s wedding or for their friend’s wedding. Oh no! Don’t do this to yourself. Not a nice idea, after doing so much of research and brainstorming about your location you just can’t take it lightly. ? Goo shopping, buy stylish accessories and look your best in your photos. After all it is once in a life time event, you will have number of occasions to save. Buy classy, which you always like and hoped to buy to look stunning. Here is the time to do all that you have ever wanted to do. All that you have prepared, all that you have decide for your pre-wedding shoot will only work if you have that confidence, that body language which is needed. Now is not the right time to think you’re fat, you are short heighted, all that doesn’t matter, what matters to have best photos is be you, as nothing can replace you, you are unique. Be confident with your body and with yourself. Stop worrying about the better side or the better angle. It’s a date with your spouse to be, make out the best of it, Laugh, Love, Enjoy Yourself, Be Happy, Be Playful, Be close, Be Romantic, Feel Love, do everything which you would not do otherwise. Show your best crazy. Jump, leap, kiss, hold each other’s hand while stalking, look into each other’s’ eye while talking Be Happy!! Would you be dull, quite, nervous or shy on your pre –wedding photo shoot, all that will be reflected in your picture at the end? Let the camera document the best and crazy side of you. In the end, all that matters is your comfort and your happiness. If you’re comfortable and happy, the pictures will reflect it. So make sure you don’t choose anything out of your comfort zone just have that wild side of yours in your pictures. As it’s a couple photo shoot and it has to be considered in the very first place of choosing any idea, place or location. You can be wild and adventurous but your partner may not be, take of care that fact too. Talk to your photographer and finalize everything beforehand be it the location, your style, dresses, props everything and anything for that matter. Don’t forget that you can hire the best of the photographers, go to the most exotic locations – but in the end – it’s how you feel within (happy or sad) that will make or break the shoot.